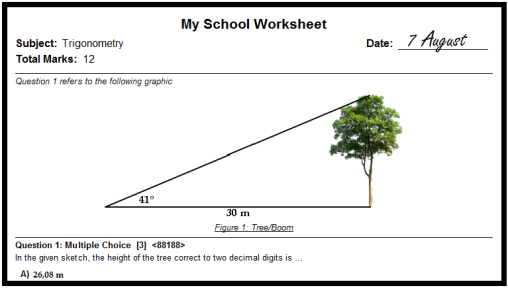 Create beautiful worksheets, interactive assessments and add more time to your school day. to work faster, smarter and be more productive everyday. Every day over 400 of South Africa’s most respected schools depend on our software for assessment, revision and collaboration. We have a legendary Training and Support Team that are on call whenever you need help. We offer our customers beginner to advanced training in our software, and provide complete support via email, the web, telephone and on-site. We also host regular workshops for teachers. We care more about our customers than you could ever imagine. We host regular user groups that allow our customers to give us their ideas, comments and criticism. Then we go back to the drawing board and create products that are suited to their needs. Convinced? Check out our products.